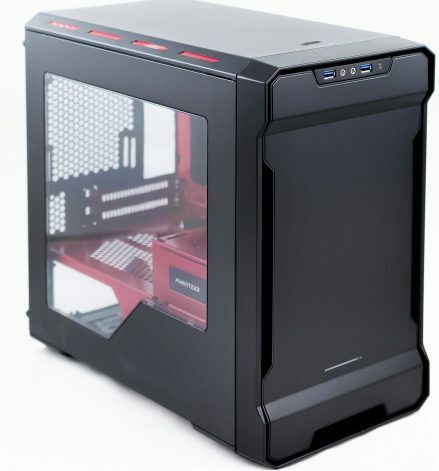 Overall, this case has the perfect balance of build quality, aesthetic, features and size efficiency. This is still one of the best values for gaming. i7 CPU’s offer diminished returns and 8th Gen Intel CPU’s still have pricy motherboards. Four cores is plenty, and this CPU sports high clock speeds and can be overclocked. This cooler will be much quieter than any stock cooler and can support a moderate amount of overclocking. Feel free to use a different brand but preferably find one that supports M.2 SSD’s, overclocking and has on-board wifi. 8 GB is plenty for gaming. You can always add another stick of RAM if you need to or can afford to. Brand doesn’t really matter. This M.2 SSD will make your storage and your overall computer experience lightning fast compared to any hard drive, and this choice enables the build to forgo SATA cabling. If you can afford to, go for the 525 GB option, but otherwise 275 is optimal. You can always add an external or internal Hard Drive if you want larger capacity. 140mm for the front and 120mm for the back. These fans offer good airflow and are virtually silent. Feel free to use another Power Supply if price is a concern, depending on the wattage of your video card. Though, read reviews about the noise level too. Try to find a modular power supply, since the purpose of this build is to minimize excess cabling. This is the big question. With prices going up, it’s hard to recommend any particular card unless a good price can be found somewhere in the used market. One option would be to build out the computer and then add the video card when prices ease again. In a normal price scenario, I would have recommended the GTX 1060 (3GB) or GTX 1070, depending on desired resolution.